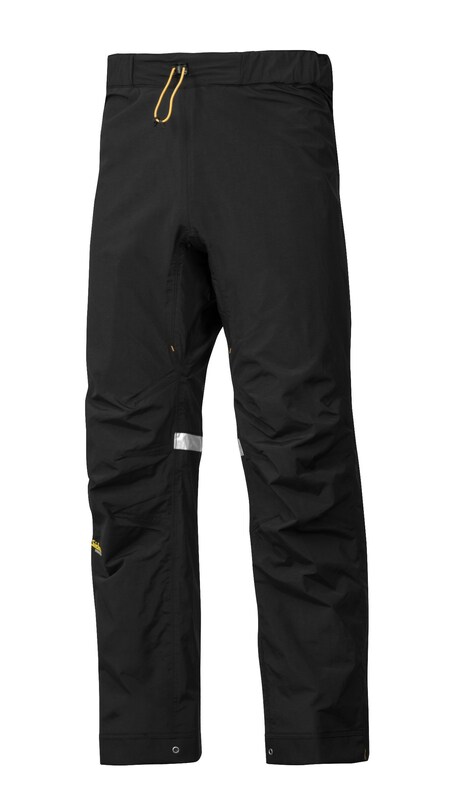 Experience dry working comfort in any weather with these Snickers 6901 AllroundWork Waterproof Shell Trousers. 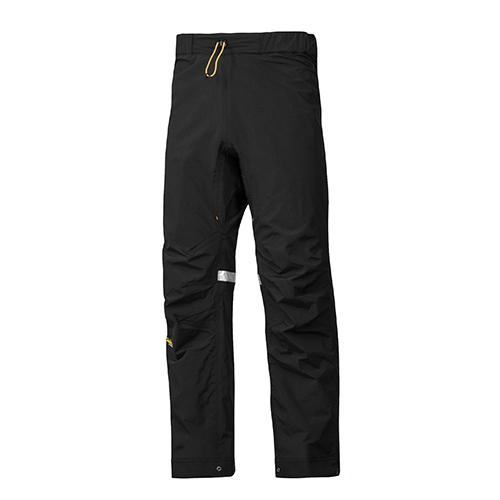 These are waterproof 2-layer shell trousers – designed to function with and without work trousers underneath. Taped seams, pre-bent legs and ergonomic fit for maximum freedom of movement. 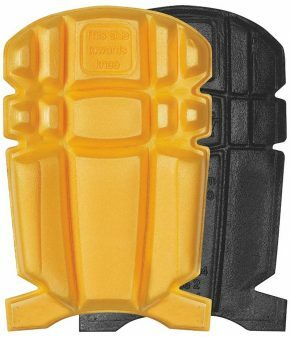 Cordura® reinforced at the bottom of the legs. Designed to keep you dry, all year round. Conforms to EN343.